Gopher Lawn Care Business Software v.4 upgrade now available. The long awaited upgrade to Gopher Lawn Care Business Software is now available for download. Download the free trial and give it a run. You will see a lot of new useful updates. Having problems charging monthly lawn care customers. Mow Time Calculator now available on Android. The GopherHaul Lawn Care Business Mow Time Calculator is now available on Android. GopherHaul Mow Time Lawn Care Business Calculator. Get the GopherHaul Business Calculators in a bundle and Save! 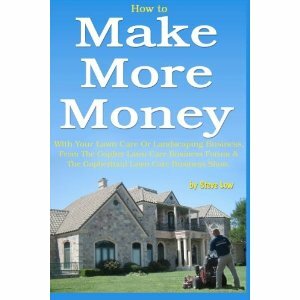 Lawn Care Marketing Return on Investment Calculator now available. 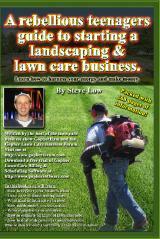 Lawn care price estimator now available. Desktop mow time estimator now available. A lot of forum members wanted a copy of the mow time estimator to use on their computer in the field so I put together a downloadable version of the mow time estimator. If you would like a copy of it, I’ll email it to you after purchase. Compare your lawn care prices and see how you can improve! You can now use your cell phone to access all the functionality of the GopherHaul Lawn Care Business Web Tools. If you haven’t created a user account yet, visit the site and register to create your own account. Then you will be able to unlock the power of the web tools. Entering your lawn care business overhead costs into the GopherHaul estimator. With the GopherHaul lawn care business software online estimator, you are empowered. In this discussion I will show you how to enter your overhead costs of running your lawn care business so you can create a lawn care estimate which will provide you with a % of profit you desire. GopherHaul Online Lawn Care Business Estimator. I have been playing around with improving the online lawn care business estimators and if you would like an account to use it, just send me a message through the GopherHaul Lawn Care Business Forum Here. 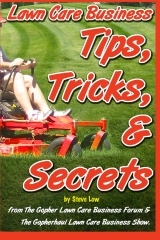 GopherHaul 19 plus great lawn care marketing ideas. 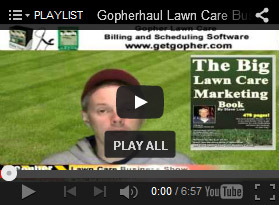 In this episode of GopherHaul we discuss winter lawn care business marketing ideas. Hello everyone and welcome to Gopherhaul! If you haven’t started your business yet, what are you waiting for. If you don’t start your business this year, you’ll be at least 1 year older when you do so get started today! GopherHaul 16 is now online. I’d like to thank Brandon for posting this lawn care business proposal contract. It is in Microsoft Word format. If you don’ have that program, download the free version from openoffice.org. You can download this template in our lawn care business forum here. 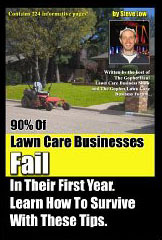 Our friend Ozzy had posted this flyer he had gotten made for his lawn care business. I really thought this flyer was visually stunning. It just stands out and grabs your attention. You can read more about this flyer here on the Gopher Lawn Care Business Forum. 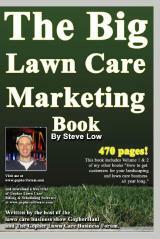 Would you like to sign up new customers for a year’s worth of lawn care service? 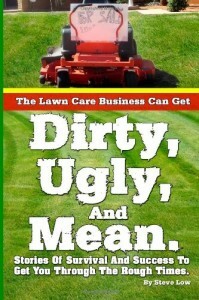 Why not market your lawn care service to those trying to sell their homes! Leaves are already beginning to turn and fall in some parts of the country. So, this article might be of interest to you. Leaf raking can be a very profitable job for a lawn care business. However, be aware of some common traps in raking a customer’s lawn. Thanks to Patrick for this great idea. 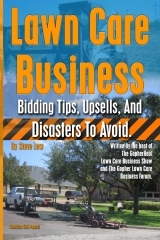 How to pre-qualify lawn care customers over the phone for your lawn care business. GopherHaul 14 Lawn Care Business Show Part 1. GopherHaul 14 Lawn Care Business Show Part 2. If you don’t start your business this year, you’ll be at least 1 year older when you do so get started today! 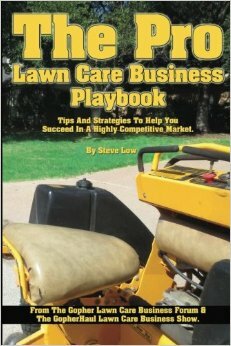 Suggestions on buying lawn care customer accounts. Would you offer a free 1 time lawn mowing, check this out. I think this is the first time I have seen a lawn care business website that offers a free trial mowing. Halloween is a great time to get out there and be creatinve if you run your own lawn care business. 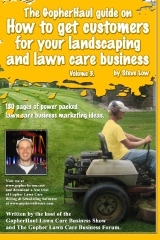 What’s next for Bikini Lawn Care? Pitching Products. 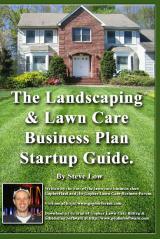 How your lawn care business should estimate mowing jobs. When you are first starting your lawn care business, how do you find how much you should charge to mow a lawn? 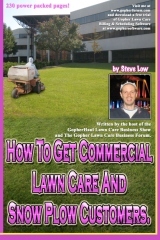 This is a question that was recently asked to us on the Gopher Lawn Care Business Forum. Here are a few ideas.